Check Prices For Dubai, U.A.E. Dubai is a popular destination for a relaxing beach holiday, an adventurous desert experience, wild nightlife or a weekend away to shop in the electronics and gold markets. Dubai has beautiful white beaches, clear blue seas, first class international hotels, and fine restaurants. 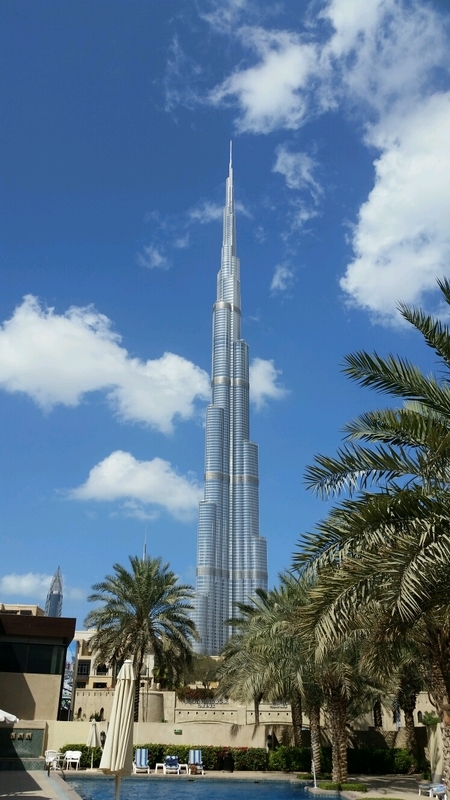 In fact, Dubai has everything you could wish for to have a memorable getaway. 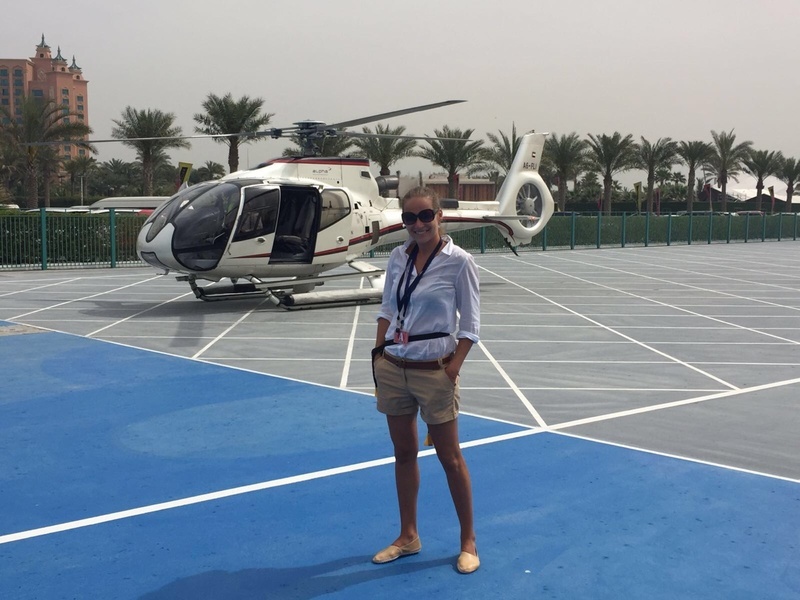 51 reviews and tips of Dubai, U.A.E. Loved Dubai, such an amazing place so much going on and so much to see, would recommend going to Dubai mall see the aquarium and if you go after 1800 see the fountains under the Burj Khalifa. Lots to do here. We stayed in Dubai for 2 additional days after the cruise. Day one we spent some time at the hotel pool (was beautiful) and then did the desert dunes, followed by a camel ride & BBQ - LOVED IT!! Day 2 we did the Hop-On-Hop-Off for the day. We found this was the best way to see the city. 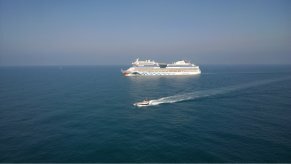 Here is my review on my recent cruise on MSC Splendida - Arabian Gulf. Sorry it is a bit long...... Flew out and back with Emirates - not my favourite airline and did nothing to change this view. On arrival at Port Rashid, we were met by MSC staff and advised to leave our cases and check in. There were many check in desks and we had photographs taken and cruise cards issued within 5 minutes and then directed to where we should board. I was able to status match with Princess and so my cruise card showed my silver level. On the way, MSC have various desks set up selling excursions, drink packages and spa appointments and a welcome soft drink. Having passed these by we went through security, up the gangplank and through ship's security to arrive in a very busy atrium by 10am. Announcements were being made to those who had just boarded to go to deck 14 where the breakfast buffet was now open. We made our way up there and had breakfast as we had arrived in Dubai at 8am. I wasn't keen on the buffet as it was dark and very crowded and the choice wasn't terrific but it did the job. Once finished, we made our way to deck 8 to check if our cabin, 8088 was ready and luckily it was. We had an oceanview cabin which was a good size with twin beds and a couch, television, wardrobe and fridge. There was a bowl of fruit to welcome us as a past passenger (due to the status match). The bathroom was not a bad size - I have had smaller and toiletries supplied. The only thing I could say was the cabin was dark due to the dark wood used but very comfortable. There were enough plug points for us. The cabin was in a quiet position and around the corner to one of the sets of lifts and stairs. Once unpacked we wandered around the ship. The ship is beautiful - very Italian in its decoration. The pool areas, indoors and two outdoor pools are blue mosaic tiling and just very pleasant to sit around. There are plenty of sunbeds. There is is a separate area for Yacht Club passengers which looks lovely too. The kids club looks amazing in that it had covered slides to a small pool, climbing wall, Lego seesaws and little animals to climb on. There are many bars on board - 13 I believe and they are all different and pleasant to sit in. At night we enjoyed the atrium bar as always entertainment in there in the way of Opera Singers or a guy playing guitar and singing. The other bar we really enjoyed was La Piazetta which was like sitting in a small square in an Italian city. Whilst they served alcohol, this bar was more for coffees, ice creams and cakes as well as free sandwiches between 11am and 4pm. There are two main restaurants, one open for breakfast, lunch and dinner, whilst the one we were allocated to was just dinner. At breakfast and lunch there was waiter service or a buffet so this was very useful if you wanted a quick meal but very pleasant if you had time to be waited on. Luckily we had a drinks package included when we booked so a little glass of wine with lunch went down very well. The food generally was very good and whilst portions were not huge, you could order more of anything you wanted. In the evening we had two waiters who looked after us very well and our wine glasses and water glasses were always full and we were always asked if we wanted more food. There was a baked alaska parade one evening and another parade on another evening where the serviettes were waved. We also had two formal evenings and whilst there is no having to dress up, most people did and looked wonderful. The theatre is a lovely place to spend time and the entertainment is geared to multinational passengers. I have to say the choreography was a bit of a disaster although the dancers were good. Most evenings there were some acrobatic entertainment but this was spoilt by the dancers prancing around them. Also one afternoon, the opera singers did a short version of Carmen which was terrific. We did a couple of MSC excursions but can't say I was terribly impressed with them. I might have to think hard about booking them on another MSC cruise. That said, the organisation to get passengers off the ship for excursions was very good and there was never much of a problem getting on and off the ship at any time. Many complaints have been made about announcements but this is an Italian line pulling in many nationalities so there have to be announcements in several languages. On our cruise there were 6 languages but English was always first and to be honest even it hadn't been, the announcements wouldn't have bothered me as they are short and kept to a minimum. The ship itself is beautiful from the Swarovski crystal staircases to the stunning works of art and decor. I would quite happily sail with MSC again. We found the staff polite, happy and helpful. My only dislike really was the buffet which we tried once again during our cruise as we came back late and didn't feel like a full meal. It wasn't any better and so I would choose to give it a miss. We didn't sample the snack food near the pools. We had a drinks package which didn't offer premium brands but every type of spirit was inclluded, beer, wines, certain cocktails, coffees, smoothies, soft drinks and ice cream and even if I had paid the 23 euros a day, I would not have been disappointed. Good, free wi-fi within the terminal. THe big bus tour is a must because it gives you an overview of the entire city and you can get on and off at the different stops. 3 of 25 shore excursions in Dubai, U.A.E.. 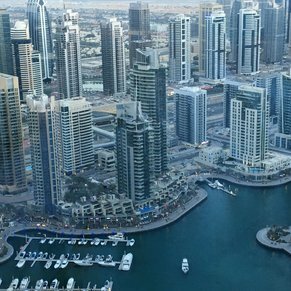 There are currently 6 discussions about Dubai, U.A.E..